PENJELASAN : – MIXER INI BISA MENGADUK BAHAN POWDER PADA PUTARAN RENDAH , SEHINGGA BAHANNYA TIDAK SAMPAI BETERBANGAN KELUAR . – DIAMETER BAK 120 CM , TINGGI BAK 60 CM , JADI TOTAL VOLUME PENGADUKAN SEKITAR : 500 LITER . – MENGGUNAKAN PENGGERAK DINAMO 10 HP . BARANG READY STOCK , PRODUKSI KAMI SENDIRI . MIXER INI MENGADUK DENGAN DUAL SHAFT PADA KECAPATAN SEDANG . KAPASITAS PENGADUKAN 800 LITER . KETERANGAN : IMPORT , MADE IN CHINA . WAKTU PENGADAAN 30 HARI SEJAK DARI ORDER . 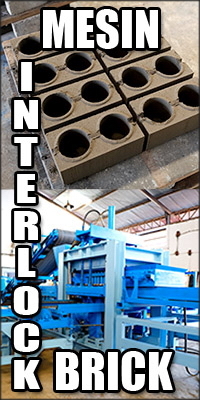 KETERANGAN : MIXER INI MENGADUK DENGAN DOUBLE SHAFT , PADA KECAPATAN TINGGI , DALAM KEADAAN TERTUTUP RAPAT , TERMASUK PINTU BUKA TUTUPNYA TERTUTUP RAPAT OLEH MESIN HYDRAULIS . TOTAL POWER YANG DIBUTUHKAN 15 KVA . DIDESIGN KHUSUS UNTUK MENGADUK BUBUK / POWDER PADA PUTARAN TINGGI . 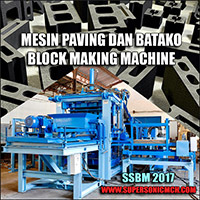 MIXER INI DIBUAT SENDIRI ( by www.supersonicmch.com ) DENGAN WAKTU PEMBUATANNYA SEKITAR 2 BULAN . MOHON KIRANYA BAPAK PILIH YANG MANA YANG COCOK UNTUK KEBUTUHAN BAPAK . SEBAGAI REFERENSI : PERBEDAAN DARI 3 JENIS MIXER DI ATAS ADALAH PADA KECEPATAN PUTARNYA , DI MANA JIKA KECEPATAN PUTAR RENDAH MAKA PAN MIXER SUDAH CUKUP , TETAPI PADA PUTARAN TINGGI MAKA KONDISI KONTAINER HARUS TERTUTUP RAPAT . YANG DI MAKSUD DENGAN SHAFT ( TUAS PENGADUK ) ADALAH SEPERTI GAMBAR DI BAWAH INI : GAMBAR INI ADALAH DUAL SHAFT , ATAU DUA TUAS PENGADUK YANG BERPUTAR BERSAMAAN DENGAN BERLAWANAN ARAH .